In 1983 David Lobo was involved with two friends in the setting up of an NGO called The Bridge Foundation. It was and is a highly efficient Micro Enterprise Development program. The symbolism of the name meant it to be a bridge between opportunity and need. 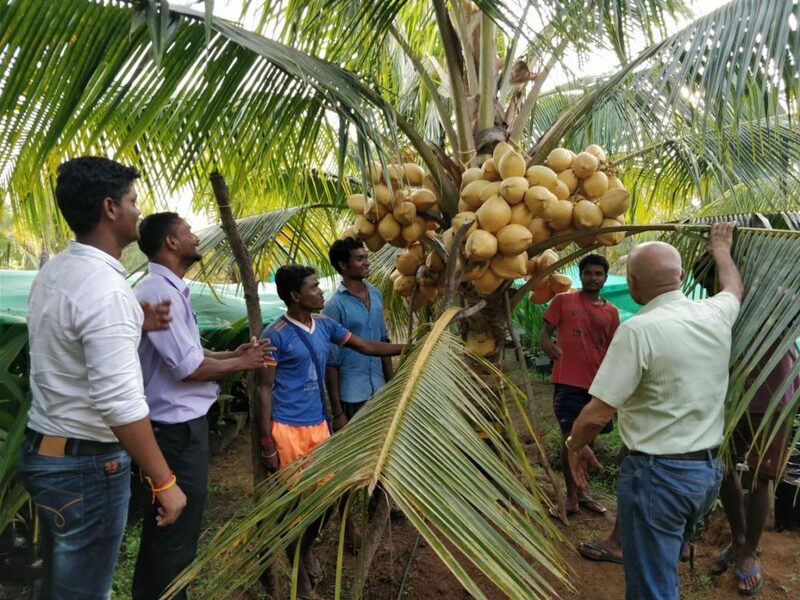 That same year, in 1983, he started a coconut breeding estate. 30 years later with both programs getting very well established, he evaluated the impact each had made. The beneficiaries in The Bridge Foundation had some improvement in their lives, and financial challenges has eased somewhat. 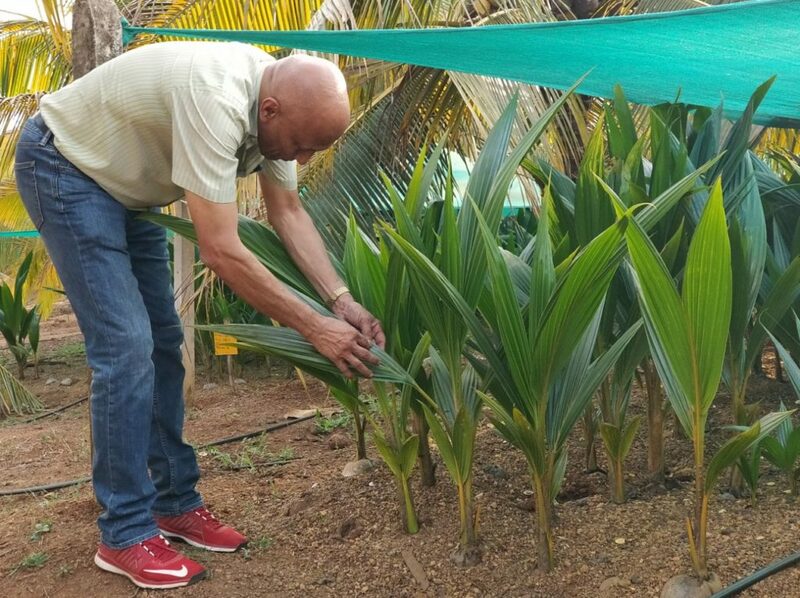 A cursory study done of the small farmers buying hybrid coconut seedlings from his coconut farm, revealed a dramatic difference. More than 80% of the 6000 small farmers had moved to a far better quality of life, many owning their own homes and vehicles, and all with much better education being given to their children. Their self respect is high. Their present contribution to the nation is also high! One has become a Member of Parliament in New Delhi. David realized that those small and medium farmers ‘less than 5 acres’ who were able to buy his Seedlings, with their own diligent work, had changed their circumstances substantially. They collected the money, bought, planted, nurtured and flourished. Just with their hard work and an opportunity of buying his seedlings they could change their lives dramatically. He also realized that there were millions more who could not collect the money in the first place. His operative costs and overheads blocked him from reaching the many who deserve, who are prepared to work and work hard, but do not have the money. 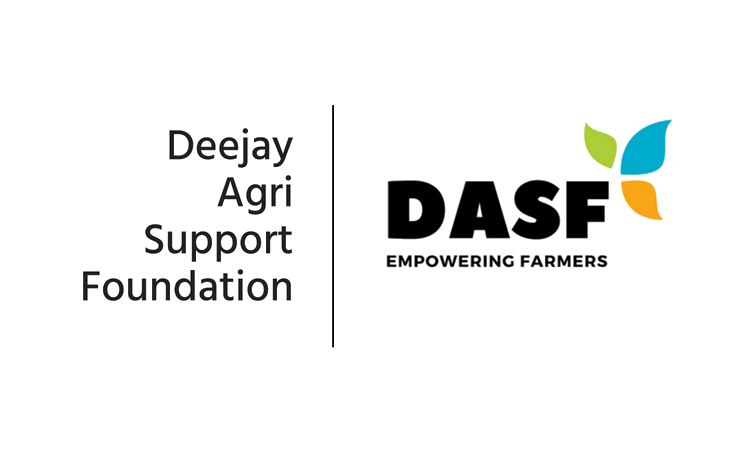 An idea, born out of necessity, crystallized and the ‘Deejay Agri Support Foundation’ was founded and became a reality. DASF’s goal and vision is the same as that of his Breeding Farm business – moving One Million Small Farmers from poverty to a much better quality of life!